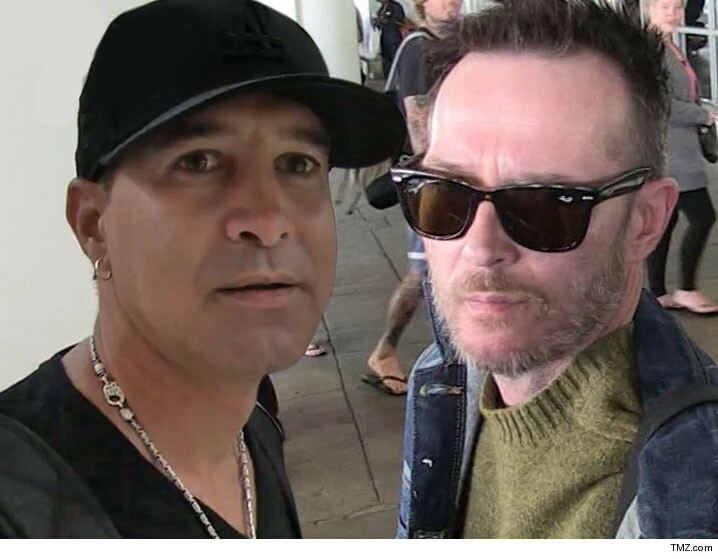 Scott Stapp got a creepy surprise right after starting his latest tour when he accidentally found out he was cruising around on the very bus where Scott Weiland recently died. The ex Creed frontman's rep tells us Stapp had just started his solo tour in Nashville, and during one of his first days on the road someone found a Weiland tour badge on board. We're told it didn't take long for Stapp to connect the dots. Having struggled with his own drug issues, Stapp saw the bus coincidence as a "poignant reminder" about losing Weiland -- who he admired -- and about the dangers of addiction. The rep says Stapp switched to a different bus a couple days later when he got to St. Petersburg, FL -- not so much out of superstition, but because the Weiland factor just hit too close to home.